RAPAPORT... The Israel Diamond Exchange (IDE) plans to expand its premises into three new towers, one of which will be the tallest building in the country and among the 10 highest in the world. 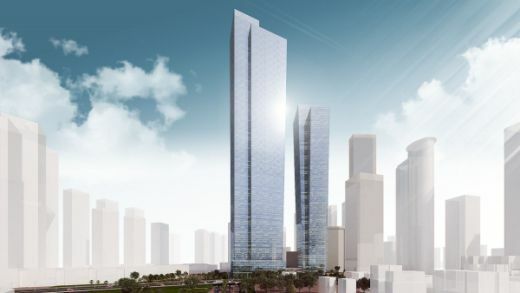 The bourse will build the 120-story tower within the IDE complex in Ramat Gan, along with two skyscrapers reaching 77 and 88 stories. The new buildings will increase the bourse’s current space from 100,000 to 800,000 square meters. The IDE will allocate a portion of the new area to bourse members, with the remaining space leased to other businesses, it noted. The new complex will connect with the Tel Aviv central railway station, as well as the new light rail line that is under construction, the bourse added.